Here is an excerpt from Elder Justin Morgans recent letter home. Kirill is currently in College and is studying how to be a Programmer for Machinery. He is also learning some English. His mother passed away about 7 months ago, and he has been prepared for the Gospel so much. 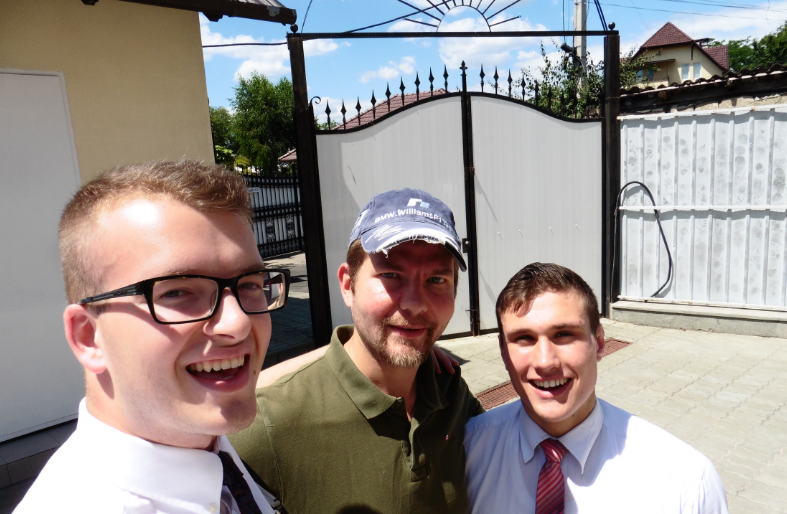 Elder Findlay and I found him on our 2nd day serving together. We were in the park walking trying to contact, and we saw Kirill and his friend walking. Elder Findlay was going to go and talk to them as they were walking by, but decided not to talk to them. I then felt a prompting we needed to talk to them, so I dashed over to talk with them. We never knew that within a transfer that Kirill would want to be Baptized. He has faced many challenges, but has changed so much, and has been diligent in keeping all of God’s commandments.